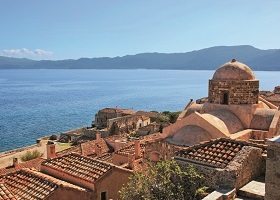 This charming seaside town on the Peloponnese is one of the most romantic cities in Greece. Enjoy the medieval old town with narrow cobblestone alleys, and neoclassical mansions with bougainvillea trees adorning the balconies. Take an optional tour to the UNESCO site of Epidaurus or the UNESCO site of Mycenea, ancient ruins including the famous Lion’s Gate. Stroll the Syntagma Square and take in the beauty of the Palamidi Castle with its 999 steps carved from the rocks. The view is breathtaking. Wake this morning to the postcard-like scene of Mykonos, the classic Greek isle dotted with hundreds of whitewashed churches and thatch-roofed windmills, in a harbor bobbing with fishing boats and luxurious private yachts. 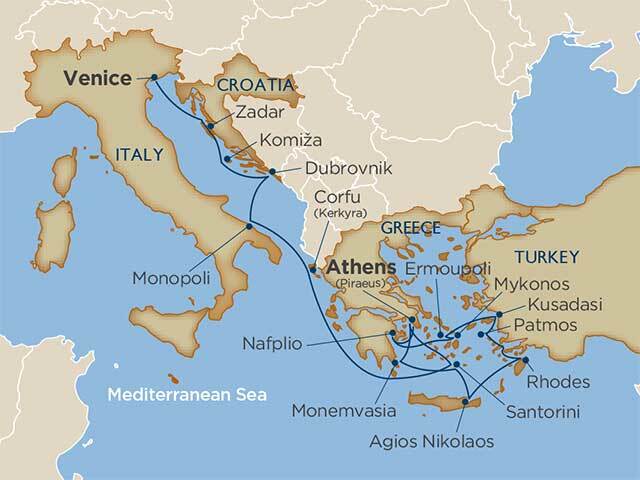 An optional tour including a scenic ferry ride takes you back to the 6th century B.C. to the tiny island of Delos, a UNESCO site and the mythical birthplace of Apollo. Ermoupoli, the capital of Syros, opens the door to a little-known Greek island packed with rainbow-colored houses clinging to the hillsides. Not much has changed here since medieval times and the narrow cobblestone streets full of stairways and arches create a delightful maze. 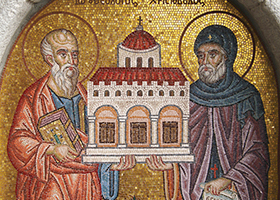 Sites to see include the Aghios Georgios Cathedral at the top of the hill, the Capuchin and Jesuit monasteries, and the picturesque main square known as the Piatsa. Few places offer such a rich combination of history and scenic beauty. 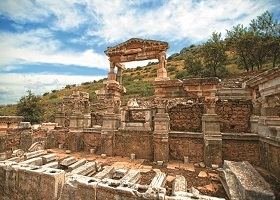 In Ephesus, one of the greatest outdoor museums in the world, you’ll explore legendary sites steeped in history. Also visit the houses of Bulbul Mountain, where the roof of one forms the terrace of the next. This evening we present our Destination Discovery Event -- dinner in the moonlight and a concert at Celsus Library in Ephesus. 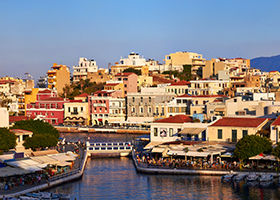 Agios Nikolaos is a colorful blend of traditional tavernas, upscale boutiques, fish markets, bars and coffee houses. 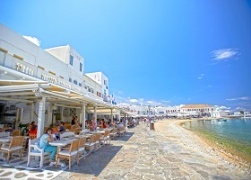 Stroll the harbor and stop by a tavern for Cretan specialties such as xynomizythra (a tangy soft white cheese) or kalitsounia (small savory herb pies). As our ship approaches the spectacular cliffs rising from the deep azure sea, you’ll understand the magic of this area, where some say the ruins of Atlantis remain hidden. 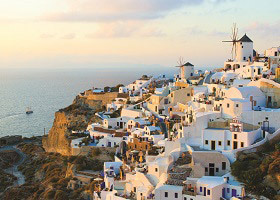 Visit the village of Oia and see the iconic Santorini blue domes or take a guided tour of Bronze Age excavations at the UNESCO site of Akrotiri. Toast the day with a crisp, cold glass of local Assyrtiko wine. 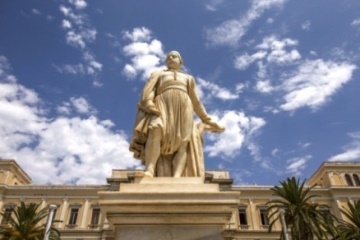 This Gibraltar-like town tied to the mainland by a single thread of causeway holds treasures that are old even by Mediterranean standards, with town walls and several churches dating to the 12th century. 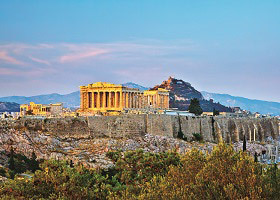 Climb to the upper town for an up-close look at the castle and Agia Sophia, a Byzantine church. 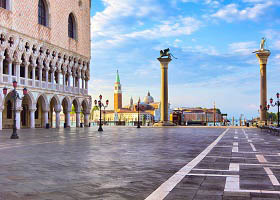 Wander the lanes of the lower town lined with Venetian mansions, many of which have been lovingly restored. Savor the sun on a smooth pebble beach. 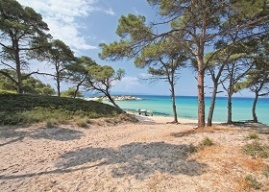 One of the most beautiful and popular islands, located on the Ionian Sea, Corfu has wonderful beaches and small villages throughout the island. 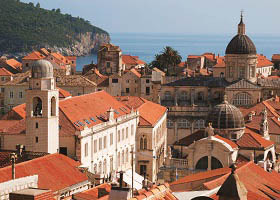 Take in the Venetian influence at the two fortresses located in Old Town, a UNESCO World Heritage Site. 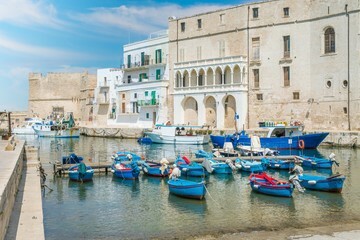 Quaint and charming, Monopoli has many sites within easy walking distance. Start at the colorful street market and head toward the cathedral, built in 1693 with a tower that is 197 feet high. 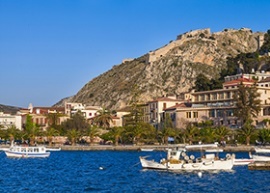 Past the cathedral is part of the seafront and a promenade and the beautiful Church of Santa Maria della Zaffira and the impressive Charles V Castle, built in 1552. The little harbors that make up the port are full of brightly colored boats and fishermen busily mending their nets. Komiza and the island of Vis have a reputation for gastronomic delights, partially because of the high quality of their local produce and the abundance of delicious seafood, accompanied by the well-respected playa wines produced there. To work up an appetite take a hike up 1,926-foot-high Mount Hum with its glorious views over Komiza or a boat ride out to the Blue Cave, or wander the streets of this beautiful old stone fishing village. Something here will capture your heart. A Roman amphitheater, 9th century churches, and museums packed with Byzantine-era artworks crowd the peninsula that tidily contains the Old Town. It’s a tempting way to spend the day for sure. 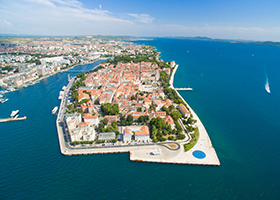 While away the day listening to Zadar’s giant Sea Organ, a haunting musical improv performed by the surging Adriatic or share a bench with a sun-drunk cat as you bite into a truffle. No other sea approach in the Adriatic raises goose bumps like Venice, where the entire city and its lagoon are a UNESCO World Heritage Site. On your luxurious home-away-from home, you arrive already equipped with a sense of what it’s like to live in the city that’s neither land nor water. Add your own sigh to the Bridge of Sighs, sip a spritz al bitter as you plot your agenda, and let the water taxis do your navigating unless you don’t mind getting lost. Not such a bad prospect, with serendipitous discoveries around every corner.